The Washington, DC, metro area is one of the best places in America for photographing weddings. 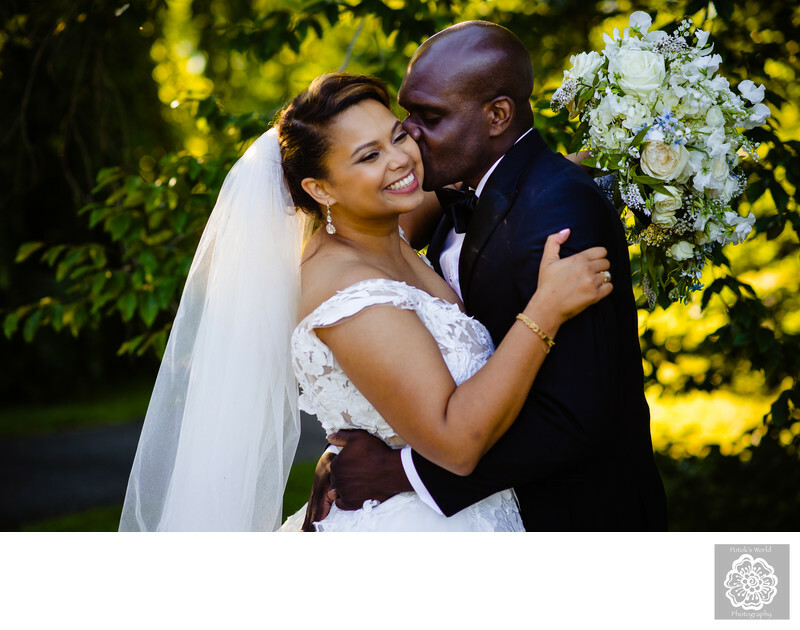 Couples who have their wedding photography in Washington, DC, are sure to get dazzling images of their matrimony. For starters, the Nation’s Capital is the repository for the country’s political history. This means that DC brides and grooms can get couples portraits near the most recognizable structures in America. There is only one Washington Monument, and its outline is known around the world. Wedding photography in Washington, DC, gives future spouses the chance to have pictures of themselves with it in the background. These kinds of images serve as unforgettable reminders of how special Washington, DC, can make a wedding look. But wedding photography in Washington, DC, is much more than just shots of couples by monuments, memorials and museums. The Nation’s Capital has so much to offer brides and grooms planning their weddings and wedding photographs there. More specifically, DC has a wealth of great venues for portraiture. Throughout the Washington metro area are parks and historic buildings that are perfect settings for images of fiancés or newlyweds. Having worked as wedding photographers in DC for years, we know dozens of great locations for engagement or post-wedding-ceremony pictures. Getting stunning wedding photography in Washington, DC, is even easier because the metro area includes the neighboring city of Baltimore. The Charm City is close enough to DC for a manageable commute but has its own unique history. Baltimore also has its own special wedding venues and locations for spectacular wedding photography. We have photographed numerous weddings in Washington’s neighbor to the northeast. And we are always happy to come back to Baltimore to help brides and grooms document their nuptials there. One of our favorite wedding venues in the Charm City is Cylburn Arboretum. An important element of our wedding photography in Washington, DC, is showcasing future spouses and newlyweds in natural settings. For that reason, we are suckers for green spaces suitable for couples portraits amid DC’s urban sprawl. And Cylburn Arboretum is as beautiful a spot for wedding photography as there is in the Washington metro area. The arboretum’s 207 acres of trees and grass give brides and grooms their pick of great backgrounds for marriage photos. These lovely newlyweds exchanged there wedding vows at a church in downtown Baltimore. They then went straight to Cylburn Arboretum for their wedding reception. Their wedding guests enjoyed cocktails and admired the chessboard-patterned dance floor in the exquisitely decorated reception tent. While that happened, the newlyweds’ DC wedding photographers took them around Cylburn Arboretum shooting couples portraits. The result was beautiful wedding photography in Washington, DC. The bride and groom were especially pleased with an image we took of them by the trunk of an old tree. The tree’s limbs twisted out to the frame’s corner, drawing the eye to the newlyweds embracing in the picture’s center. The happy couple also loved this particular DC wedding photograph. Though simpler, the image features them sharing a beautiful moment on the day they got married. Cylburn Arboretum’s natural setting gives the picture a softer feel that suits the emotions of the bride and groom perfectly. When a photograph can remind a bride of her happiness her wedding day, wedding photography in Washington, DC, gets no better! Location: Cylburn Arboretum, 4915 Greenspring Ave, Baltimore, MD 21209. Keywords: Cylburn Arboretum (3), DC (18), wedding photography in Washington (3).